Boston is known for sightseeing, museums, historic sites, parks, and shopping. 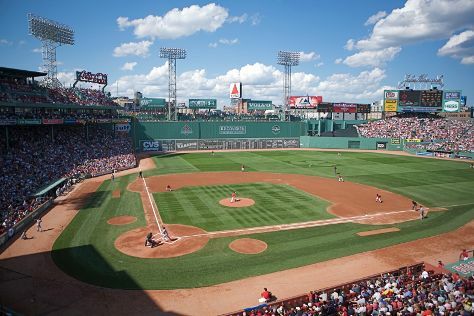 Your plan includes some of its best attractions: explore and take pictures at Fenway Park, take in nature's colorful creations at Boston Public Garden, buy something for everyone on your list at Faneuil Hall Marketplace, and appreciate the extensive heritage of Freedom Trail. For more things to do, reviews, other places to visit, and tourist information, read our Boston trip generator. New York City to Boston is an approximately 3.5-hour combination of flight and bus. You can also drive; or take a bus. Traveling from New York City in August, expect little chillier with lows of 66°F in Boston. Finish your sightseeing early on the 8th (Tue) so you can drive to Ogunquit. On the 8th (Tue), enjoy the sea views from Cape Neddick Nubble Lighthouse, get to know the fascinating history of Marginal Way Walkway, and then explore the striking landscape at Perkins Cove. On the 9th (Wed), you'll have a packed day of sightseeing: stop by Spoiled Rotten, then tour the pleasant surroundings at Ogunquit Beach, and then enjoy the sand and surf at Wells Beach. For maps, traveler tips, photos, and more tourist information, read our Ogunquit trip itinerary planner. You can drive from Boston to Ogunquit in 1.5 hours. Alternatively, you can take a train; or take a bus. Traveling from Boston in August, you can expect nighttime temperatures to be a bit cooler in Ogunquit, with lows of 56°F. Finish up your sightseeing early on the 10th (Thu) so you can go by car to Boothbay Harbor. Boothbay Harbor is a town in Lincoln County, Maine, United States. On the 10th (Thu), enjoy the sea views from Pemaquid Point Lighthouse and then step off the mainland to explore Cabbage Island. On the next day, take in nature's colorful creations at Coastal Maine Botanical Gardens. 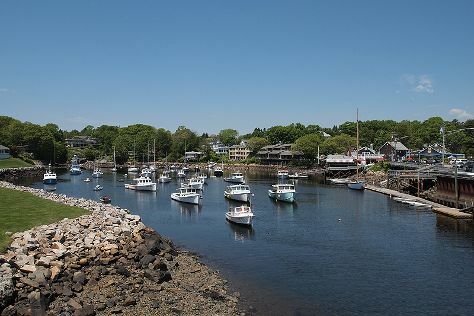 For more things to do, maps, other places to visit, and other tourist information, you can read our Boothbay Harbor travel itinerary creator. Traveling by car from Ogunquit to Boothbay Harbor takes 2 hours. Alternatively, you can do a combination of train and taxi; or do a combination of train, bus, and taxi. In August, daily temperatures in Boothbay Harbor can reach 78°F, while at night they dip to 57°F. Wrap up your sightseeing by early afternoon on the 11th (Fri) to allow time for the car ride to Bar Harbor. Bar Harbor is a town on Mount Desert Island in Hancock County, Maine, United States. Start off your visit on the 12th (Sat): step off the mainland to explore Mount Desert Island and then stroll through Little Hunters Beach. Here are some ideas for day two: look for gifts at Christmas Vacation Shop and then take in the awesome beauty at Cadillac Mountain. For other places to visit, ratings, traveler tips, and tourist information, you can read our Bar Harbor travel itinerary planner. Traveling by car from Boothbay Harbor to Bar Harbor takes 3 hours. Alternatively, you can do a combination of taxi and bus. In August in Bar Harbor, expect temperatures between 76°F during the day and 58°F at night. Finish your sightseeing early on the 13th (Sun) so you can travel to Provincetown. 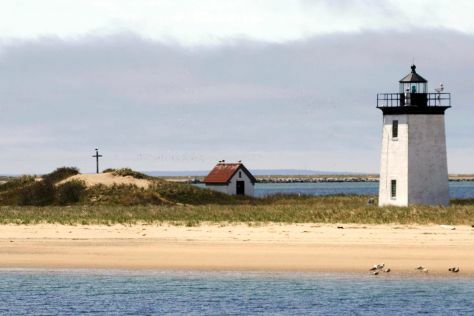 Provincetown is known for sightseeing, beaches, nightlife, museums, and trails. Your plan includes some of its best attractions: kick back and relax at Long Point, get lost in a book at Provincetown Public Library, tour the pleasant surroundings at Corn Hill Beach, and take in the waterfront at MacMillan Wharf. To find ratings, reviews, more things to do, and other tourist information, refer to the Provincetown custom trip planner. Traveling by combination of taxi and flight from Bar Harbor to Provincetown takes 3.5 hours. Alternatively, you can drive; or do a combination of bus and ferry. August in Provincetown sees daily highs of 78°F and lows of 63°F at night. Wrap up your sightseeing on the 16th (Wed) to allow time to drive to Sandwich. Sandwich is a town in Barnstable County, Massachusetts, United States. Start off your visit on the 17th (Thu): explore the world behind art at Sandwich Glass Museum, examine the collection at Heritage Museums & Gardens, then explore the activities along Cape Cod Canal, and finally explore the landscape on two wheels at Shining Sea Bikeway. On your second day here, identify plant and animal life at Monomoy National Wildlife Refuge and then kick back and relax at Chatham Lighthouse Beach. To find ratings, where to stay, reviews, and other tourist information, use the Sandwich itinerary planner. Traveling by car from Provincetown to Sandwich takes 1.5 hours. Alternatively, you can take a bus. In August in Sandwich, expect temperatures between 78°F during the day and 61°F at night. Finish up your sightseeing early on the 18th (Fri) so you can go by car back home.